#MySundayPhoto Number 36 is of Bear playing in the grounds of the magnificent Dyffryn House in the Vale of Glamorgan. We are frequent visitors to this gem which is managed by the National Trust. They have so many volunteers that the grounds are just beautiful. We have visited the house but only without Bear. The house doesn't open until 12 midday and we like to go early and get back home for Bear's afternoon nap. Maybe in the winter when it's a bit cold Bear will do a tour of the house. We usually have to go back to see the house. I swear I was English in a previous lifetime! I love an old English manor. Looking forward to next summer when we will spend two weeks in London and another month touring the rest of the UK. What a stunning building and beautiful gardens. Wow what a grand looking building. So much to explore :) Hope you get to visit inside too. It looks like a fab place to visit. 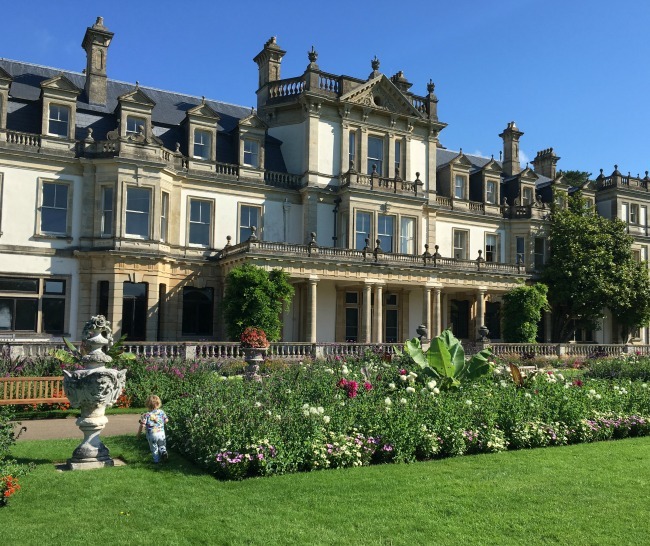 We have the same trouble with the afternoon nap at the mo and normally always leave before the historic houses open - thank goodness the gardens and grounds are so stunning. I had to work hard to spot him. What a splendid photo and the house is so magnificent, I wonder what it looks like inside. I am looking for a photo theme for my write up and this photo can have a title of serenity but I have to read this urgent essay writing scam first since I am looking for some help on how to verse my writing to capture a wider audience.